Croom Precision Medical is an FDA registered company. We operate a vertically Integrated Management System (IMS) which is accredited to ISO 9001, ISO 13485 and ISO 14001. 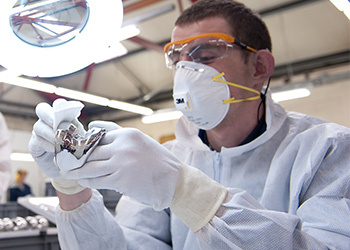 In working with over 72% of our customer base for over 20 years, we continue to build long lasting partnerships with the medical industries leading companies in providing high quality Class I, II & III Orthopaedic Implants and Instruments at a competitve cost. Having been presented with several customer service awards, we pride ourselves on our pristine track record and strive to constantly build strong relationships with our valued partners. 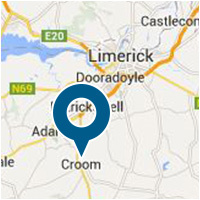 Croom Precision Medical operates an award winning Research, Development and Innovation (RDI) practice within its operations. Through these mechanisims, a high competency in Co-Bottices, Metallic Additive Manufacturing and Advanced Machining has been generated. A direct accolade of such ingenuity follows from our accreditation from Engineers Ireland in 2011 & 2013 for a Research and Development automation project in conjunction with the Cork Institute of Technology. 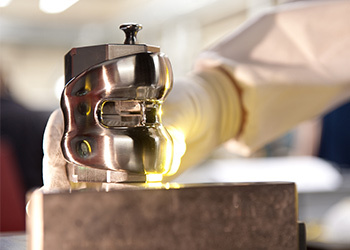 We cultivate innovation within our working environment and continuously implement more effective and efficient manufacturing processes for both existing and new products. Croom Precision Medical is an FDA registered company. We operate an Integrated Management System (IMS) which is accredited to both ISO 13485:2012 and ISO 14001:2004. CPM also manufacture and supply a range of CE approved machinery for the medical device industry. These accolades ensure that CPM provides an end product which is safe, functional, meets regulatory and customer requirements. 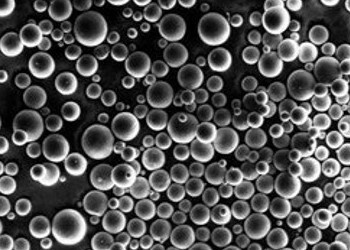 We offer full and partial contract inspection, IQ-OQ-PQ validations, first article inspection services, risk analysis & process maps. Please download the certs below for more info on our QMS.